The countdown’s officially on in our house. Just a week away from the big day. The big guy’s comin’ to town soon, folks. At least if you celebrate that. That means all things Christmas-y are in full swing here. Every radio’s playing carols. Cookies galore are baking. Our Elf On The Shelf is up to his annual evening antics. And the youngest son is busy making his homemade gifts for family & friends. 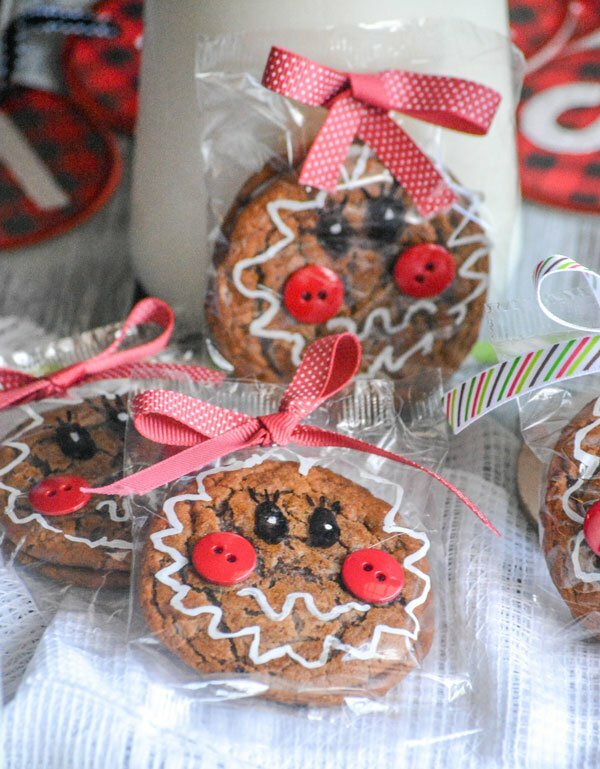 Son # 4 is really excited to give out his goodies this year, especially since each one has one of these adorable Gingerbread Girl Packaged Oatmeal Cream Pies. My favorite part? They’re quick, with minimal cleanup. The sons favorite part? He got to use Mom’s glue gun AND her fancy scissors, because safety scissors weren’t cutting it. Literally, they wouldn’t cut through the ribbon. Added bonus? They’re so easy, even a child can make them. My 8 year old did. And he got just as much of a tickle out of them as the recipients do. Christmas gifts, especially when they’re coming from kids, don’t need to be expensive. 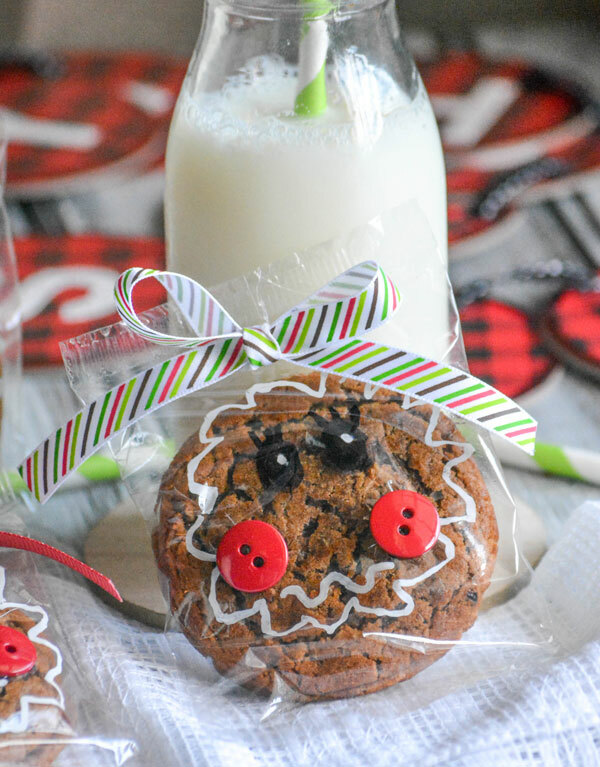 Sometimes, an everyday item given a teensy little face lift, can be transformed into an adorable, awesome holiday treat anyone would love to receive. Case in point? 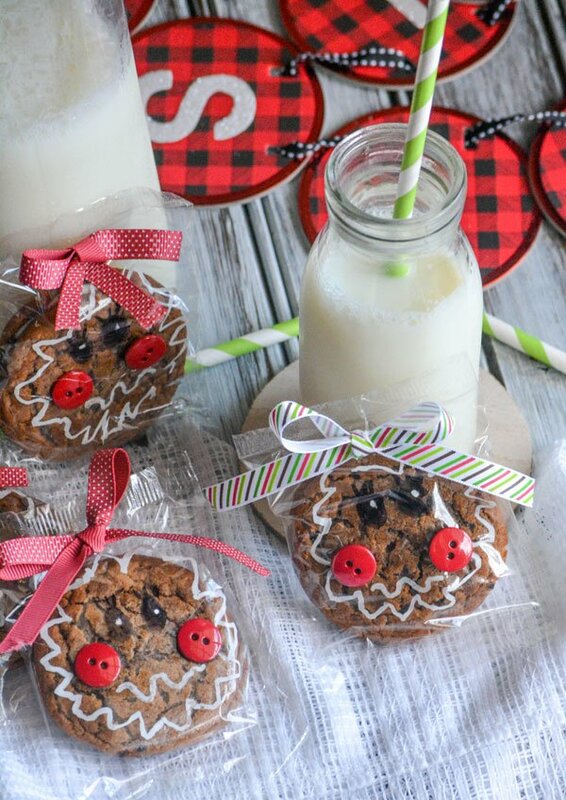 These cute Gingerbread Girl Packaged Oatmeal Cream Pies. 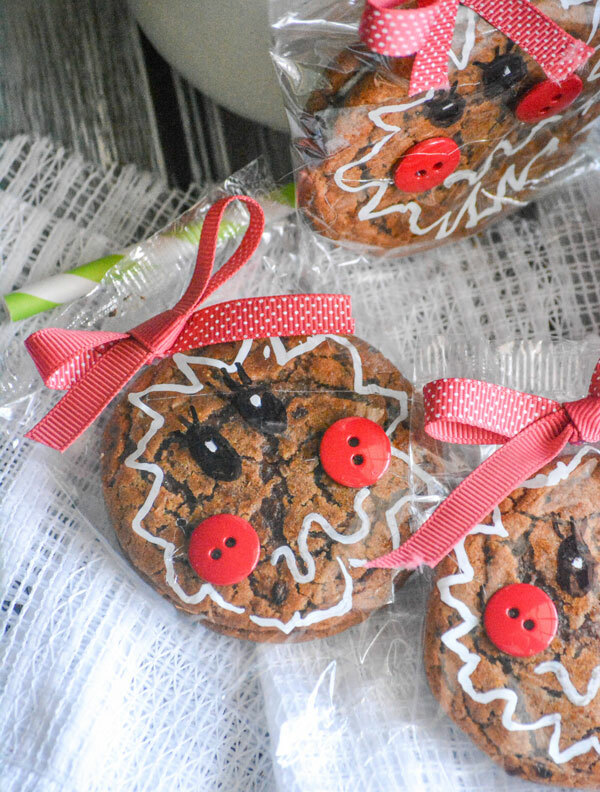 An easy Christmas craft, perfect for giving, these Gingerbread Girl Packaged Oatmeal Cream Pies are as cute as they are yummy. 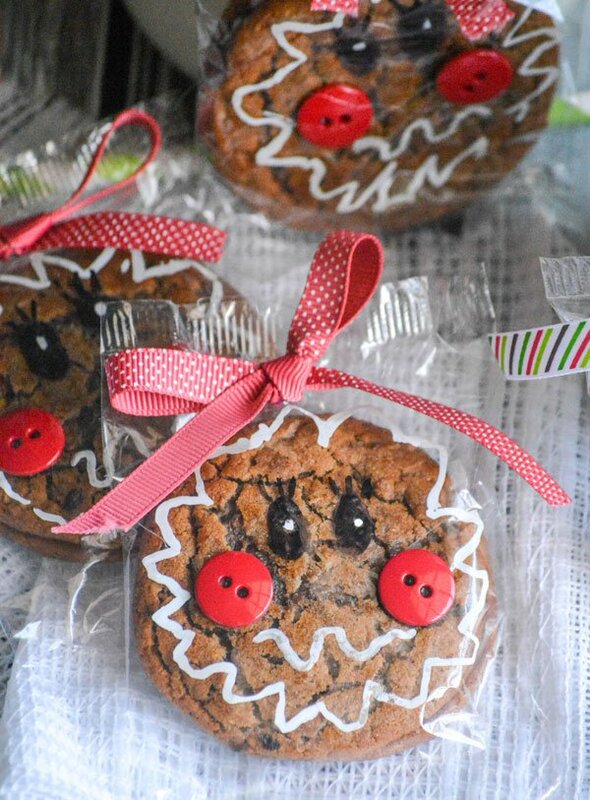 Pre-packaged oatmeal cream pies are decorated with a couple buttons for rosy cheeks, a pretty bow, and paint penned faces and lips with adorable sharpie-d eyes. Maneuver the cookie until it’s in the center of the cellophane packaging. Draw on the eyes. Use the paint pin to draw a squiggly border for the ‘face’. Use the hot glue to adhere your rosy cheeks. When dry, use the paint pin again to draw a squiggly smiley face mouth. Cut a bit of ribbon and tie it into a tiny bow. Use the hot glue to attache the bow to the top of the gingerbread girl.